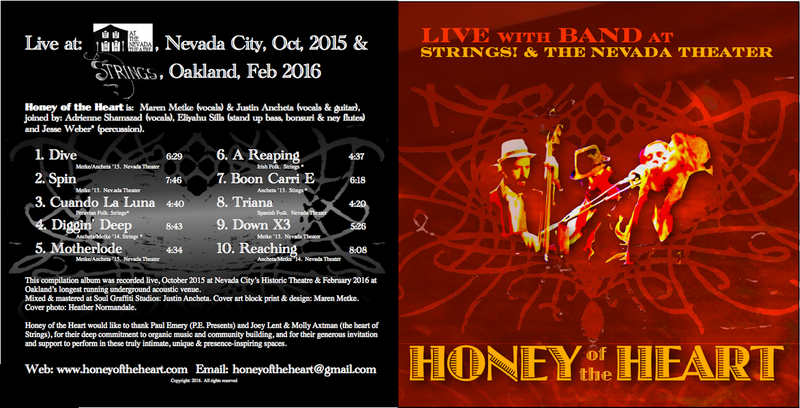 Local favorites, Honey of the Heart return to the Grass Valley Center for the Arts on May 13th for a multi CD release and special evening with their full band and cellojoe opening the set. Honey of the Heart (fronted by Justin Ancheta and Maren Metke) is described as “a feast for the senses and a balm for the soul”, leaving you with “chills and an open heart”. This versatile, inspiring duo, backed by their dynamic and talented band, weaves together soaring, rich vocals and melodies… haunting, epic, three-part harmonies… powerful beat boxing & contagious polyrhythms infused with a deep, soulful presence.. The show will be opened by Cello Joe, the world’s only beatboxing, long distance bicycling, looping cellist. His beatboxing (vocal percussion) and funky cello grooves form a rich soundscape for intelligent lyrics and his music spreads love, joy, laughter and conscious vibrations. Honey of the Heart’s style is described as Folk, Latin/Flamenco, Jazz, Gypsy, Roots, Americana fusion with rich harmonies, and powerful vocals, suggesting a deep Soul influence. Their combined influences form a strong chemistry and flow, bringing a positive message and intimate breadth of landscape, blending contagious rhythm and melodies to sweeten the hearts of all who listen. They were featured at World Fest 2015, Prana Festival 2014, had the honor of opening for Taj Mahal in March 2015, and Rising Appalachia in Fall 2014. They have produced 2 EP’s since Fall 2014, including ‘Live @ CFTA, and will be releasing their 3 live albums at this show (Live at the Nevada Theater Fall 2015, Live @Strings! in Oakland 2016, and Live in Nevada City Valentine’s Concert 2016). They are currently working on a full studio album, and plan to release it later in 2016. 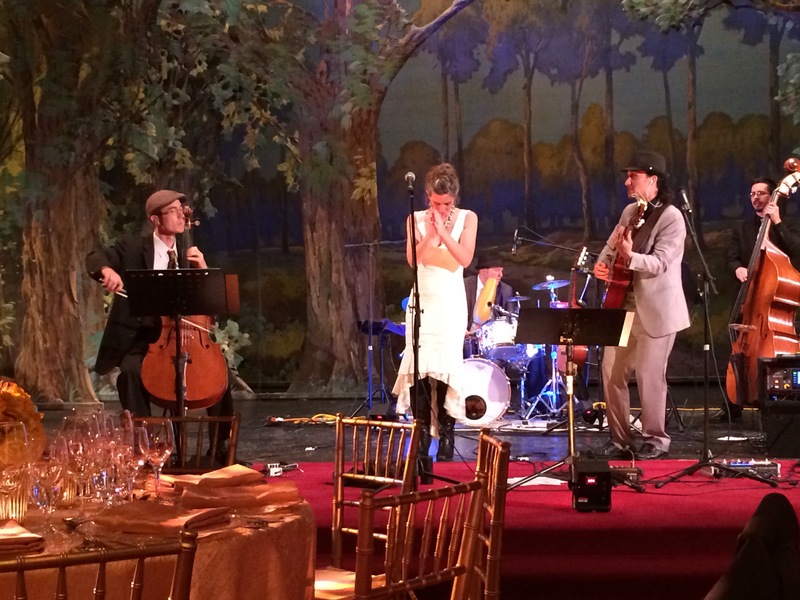 Justin Ancheta and Maren Metke of Honey of the Heart are joined by Adrienne Shamszad, Cello Joe and other special guests.